Quintessentially British design and exquisite craftmanship combine with the vintage-inspired Emmy London collection. 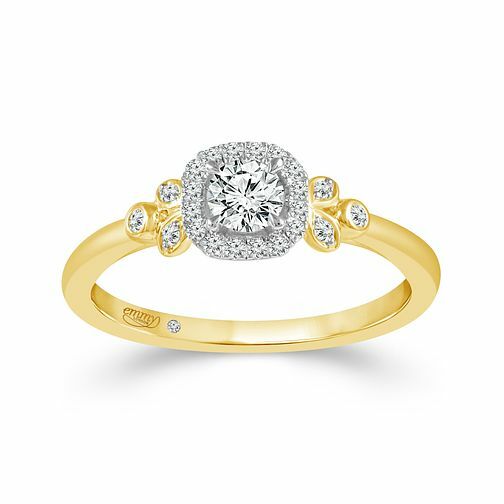 This 9 carat yellow gold ring delicately holds a 0.33ct halo cut diamond beautifully framed by two accompanying stones. The intricate flower detailing give this ring a whimsical yet stylish design fitting for the contemporary woman. Featuring I1 certified diamonds and an independent GSI certificate.